Product prices and availability are accurate as of 2019-04-20 11:25:04 UTC and are subject to change. Any price and availability information displayed on http://www.amazon.co.uk/ at the time of purchase will apply to the purchase of this product. 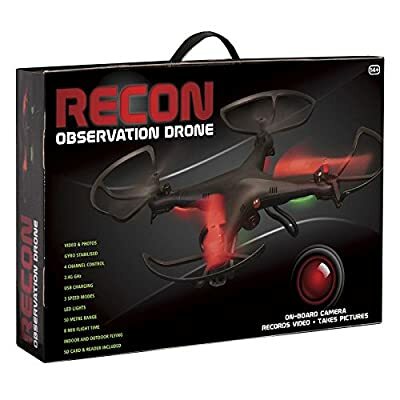 Gain a vantage point in the sky with the amazing VN10 Eagle Recon Drone. 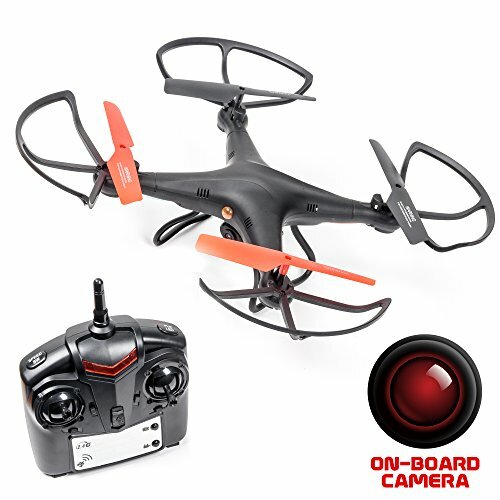 This brilliant quadcopter is perfect for beginners as it's easy to fly and very stable in the air. Slide an SD card (not included) into the onboard poseable camera and you're ready to take photos and record footage from the air. 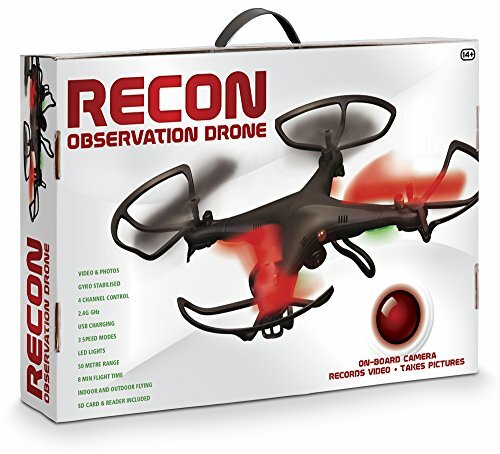 Just press a button and the Eagle Recon Drone will happily snap away for you. And when it's back on the ground, simply take the card out, plug it into a computer, and you're ready to see the results. 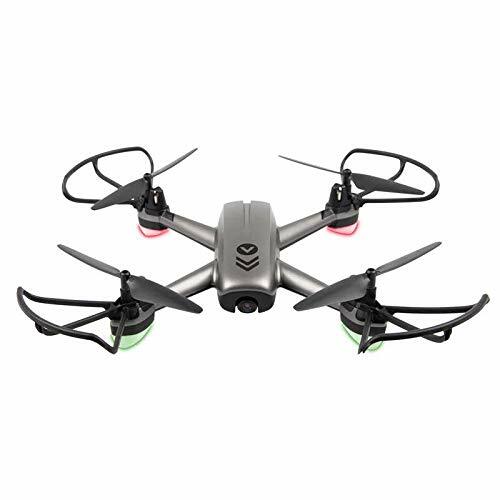 This drone is very easy to operate thanks to the automatic altitude hover mode which lets you take your mind off the controls to focus on getting the best pictures. It also features everything you'd expect from a modern drone, like gyro-stabilisation, 2.4G (for enhanced range and reduced signal interference) and a speed toggle for increased control. 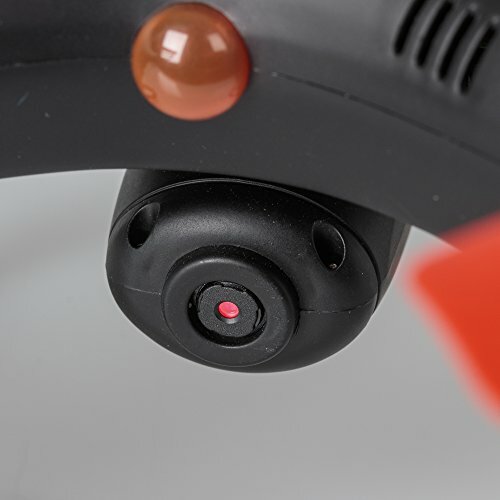 Its top speed is 35 kph (22 mph), but for learning the controls, you can drop the speed to 40% and even 60% for an easier experience - it's ideal for operating the drone indoors. Before you know it you'll be recording aerial footage like a pro. It's fantastic for taking impressive holiday snaps or getting a new bird's eye view of the area around your home. There are also great practical applications too, like surveying hard to reach areas on buildings (e.g. roof tiles) or locations where access is restricted due to natural obstructions (e.g. mountainous terrain). The opportunities are almost limitless! 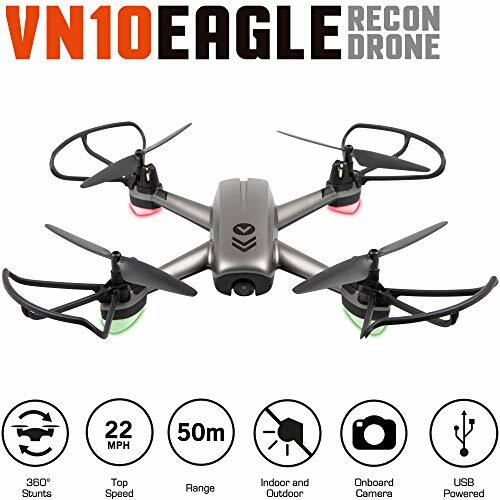 If you're looking for a good all-round beginners drone, then look no further than the VN10 Eagle Recon.